Feeling frustrated or powerless because you’ve been trying everything to get your health back, but still not seeing the results you want? Getting healthy doesn’t have to feel like you’re fighting a losing battle that takes up all your time, money, and sanity. It’s time to learn how to end the battle and discover a healthy life you love that inspires you and is actually fun. Ever feel like you just can’t quite do enough to stay healthy? You invest a lot in your health: you try to eat healthy foods, move your body, and practice self care on the daily. Yet it seems there is always a new supplement to try, food to eliminate… or you find out the way you’re exercising is all wrong for your body. Good news! It doesn’t to feel like you have to constantly pile more and more onto your plate to stay healthy. There’s a simple way to achieve ultimate health by doing more with less. Ever been told that it’s no big deal to have painful, heavy, or irregular periods…and you can just manage them and all the icky things that come along with them (bloating, acne, moodiness) with a pill? You’re not alone, and those things aren’t true! There are plenty of simple things you can do to resolve your period problems and move beyond the worry and stress of having it run your life on a monthly basis. (3) The 3 simple practices you can do to get better periods so you can spend less time stressing and have more energy to live a healthy life you love. Equal parts skilled detective, savvy business owner, creative puzzle master, teen magician, nomad, spiritual and medical junkie, unicorn and lifelong athlete, Dr. Julie Granger has always worn the go-getter badge with honor in her life and career. Dr. Julie Granger is a healthy mindset coach, certified women’s health coach (WHC) and Doctor of Physical Therapy. She has degrees from Duke and Emory, is a speaker and medical school professor and has more than 10 years of experience as a sought-after, internationally acclaimed women’s and teen health expert. She founded her company, PRISM Wellness Center, to create an environment where women and teens feel confident and powerful to discover and create personalized healthy living paths that inspire them and reflect what they truly love. If you’re like Julie, whatever it is you choose to do in life, you do it BIG! Win the race, excel in your job or business or, perhaps, even decide to start a family. 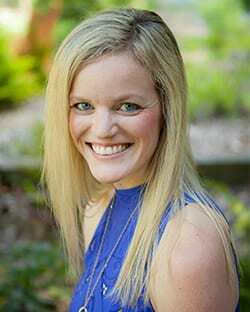 As a former, competitive swimmer turned passionately-driven physical therapist (PT), Dr. Julie poured countless hours and energy into growing her medical career. Though she succeeded on many fronts, she also suffered along the way with stress and sickness…until one day, she hit one major ‘snag.’ After speaking at an industry conference, she experienced a series of panic attacks that led to a health spiral. That spiral ultimately ended with a diagnosis of an unrelenting and rare form of cancer. In this moment, Dr. Julie dug deep – along with a team of health & life coaches and medical providers – to examine, save and reinvent her life. As it turned out, she learned that all that striving she’d done before wasn’t the route to happiness. She had earned a lot of gold stars in life, yes; but, she felt neither happy, nor healthy. Dr. Julie began a women’s healthy mindset coaching practice to help women and teens who are feeling stuck, lost, challenged or simply burnt out with their lives and health—and who are suffering the consequences because of it. She believes that health, happiness and success are not mutually exclusive, and that achieving a healthy life we love does not have to be so laborious and never-ending, and she loves speaking to and teaching women in groups of 10-600 to master their own definition of healthy and have fun while they do.